This half term our connector has a science focus. We will be comparing the differences between things that are living, dead and things that have never been alive. We will also explore how different habitats provide for the basic needs of different kinds of animals and plants. Children will be able to describe how animals obtain their food from plants and others, using the idea of a simple food chain. 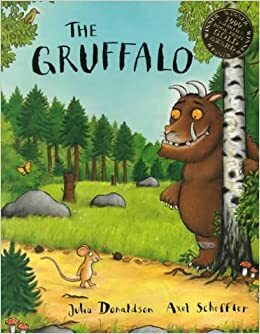 During our English lessons, we will begin by reading on The Gruffalo by Julia Donaldson. We will be writing character descriptions of the main characters, using noun phrases and co-ordinating conjunctions. At the end of the half term, we will use our knowledge of habitats to write a non-chronological report. Throughout the half term, there will be a focus on making simple additions, revisions and corrections to our writing. Within art, we will be experimenting with colour and learning how to mix different tones by adding black or white. Children will have the opportunity to use this knowledge when creating their own work of art. We will be focusing on fractions during our maths lessons. This will include recognising different fractions and finding fractions of a length, shape, set of objects or a quantity. We will also be identifying the properties of 2D and 3D shapes. Library books and reading books are changed weekly. Please make sure your child has these books in school every day. Please make it a habit to read with your child daily and to ask them open-ended questions such as 'why do you think...?' so that your child can really elaborate on their answer and you can also see how much your child has understood the text. ·Children can count anything: sweets, cars, trees, pennies, … Encourage them to count objects wherever they are! ·Look at the pattern of house numbers as you walk along. Are they odd or even? What number will be next? We have found that children who have the opportunity to practise their learning at home, make the most significant progress. This term, our PE session is on a Monday. Please ensure that your child has a full PE kit, including tracksuit bottoms, t-shirt, jumper and a change of shoes, so that your child can participate. Homework will go out on a Friday and we will expect it to be in by Wednesday. Looking forward to an action packed, fun term in 2G!